In my social media and marketing work, I am a big believer in the power of creating installations (also sometimes known as "placemaking") that provide opportunities for people to post independently on their own social media. Genuine peer-to-peer marketing is the most trusted and most valuable, but it's also the most difficult to achieve because you can't force it. From my perspective, it taps into the ultimate goal of social media marketing - not amassing likes and promoting events, but changing the hearts and minds of the community to make them feel better about a brand, more proud to be affiliated with it, and more likely to stay connected throughout their lives. Curated collection from several thousand photos tagged with the various UP-related hashtags during the 2014-15 academic year, with each arrow representing a different month. Read about it and see more photos here. Placed at an end-of-year party on campus, this board had the prompt "The best thing about this year was..." Hundreds of students took part, took pictures, and shared on social media. More pics here. Placed several disposable cameras around campus, with few instructions. We then developed the photos and told students to keep their pictures. It was so popular they told us to do it again the following year. Watch the videos here and here. 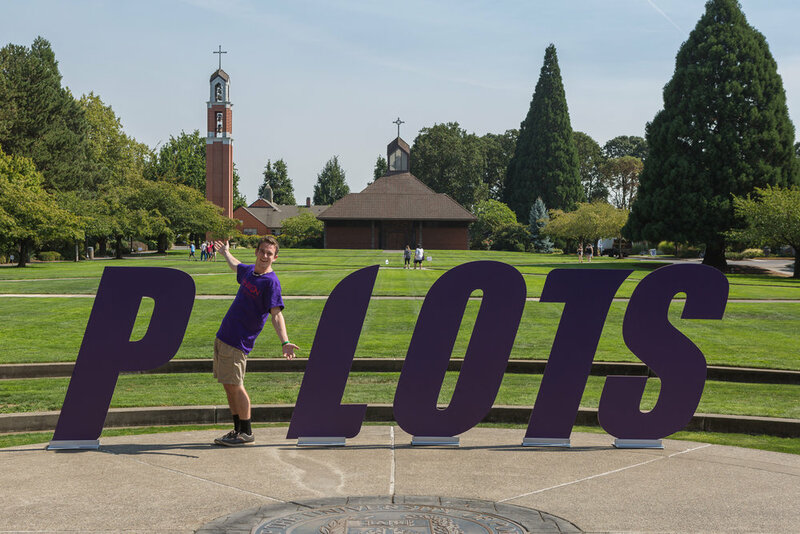 I placed these letters in the main academic quad during orientation, with the missing "I" encouraging students to stand in. Parents and students took and posted hundreds of photos with the letters. The Read more here. Installed during commencement weekend, it included a personalized envelope for each graduating senior. A personalized card was included inside. Hundreds of students posted about it on social media. Read more here. Placed at a public park in Portland, this was a project for my graduate program in multimedia journalism. It was recognized by Awesome Portland as one of the best community-minded ideas in the city. See the website and watch the video here.